The perfect kit to start you spinning! Includes a 12" wooden drop spindle, 4 oz. 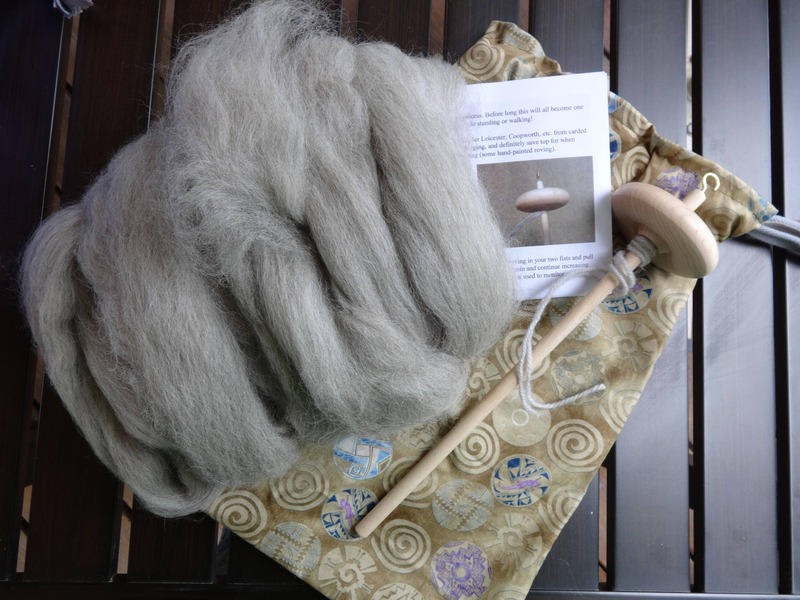 of wool roving, basic illustrated instructions and a pretty cotton bag to hold it all! Please see my other listings for other bag fabrics. Shipping within the USA is free!